Eric Lewis is the director of the Institute for the Public Life of Arts and Ideas at McGill University, where he is a professor of philosophy. His research focuses on the philosophy of improvised arts. 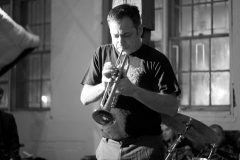 He is also an active improviser on brass and electronics.